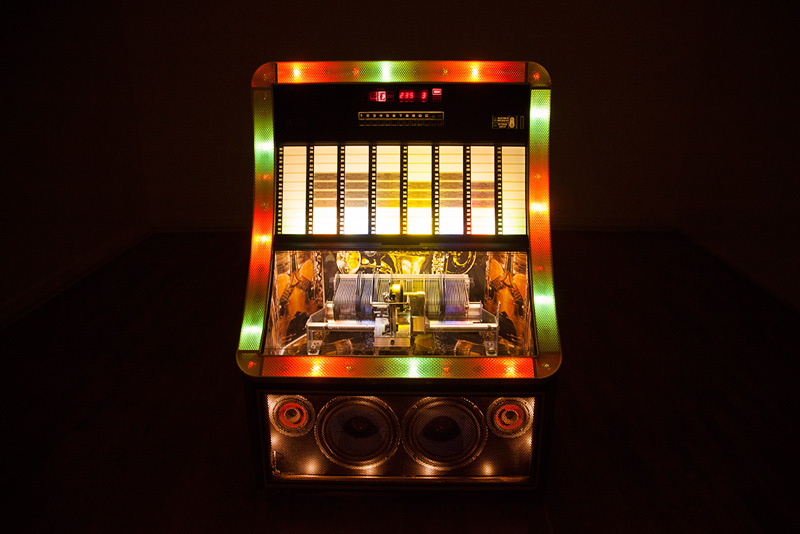 Juke Box meets Tate Britain presents a changing and expanding archive of sonic connections, inspirations and interpretations of the BP Walk through British Art. display. Drop in anytime to browse the latest playlists, relax and enjoy the soundscape created by visitors track selections or come along to a live vinyl-cutting recording session to contribute your own audio impressions of the BP Walk through British Art. If you would like to cut a vinyl record for the juke boxes, come along on Sundays to book a time for your vinyl-cutting session. Suzuki has worked with Tate Britain learning team, archive team and research team to create. 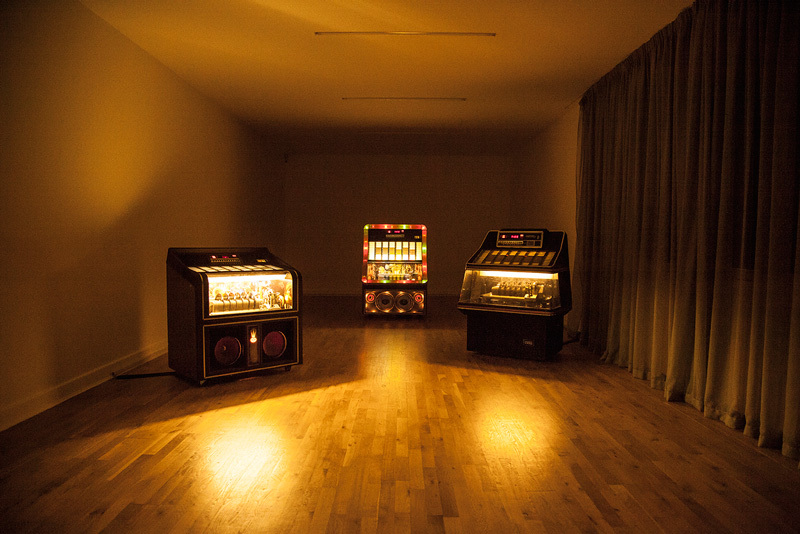 Juke Box meets Tate Britain” is an interactive installation from Yuri Suzuki. It presents a changing and expanding archive of sonic connections, inspirations and interpretations of the BP Walk Through British Art display. 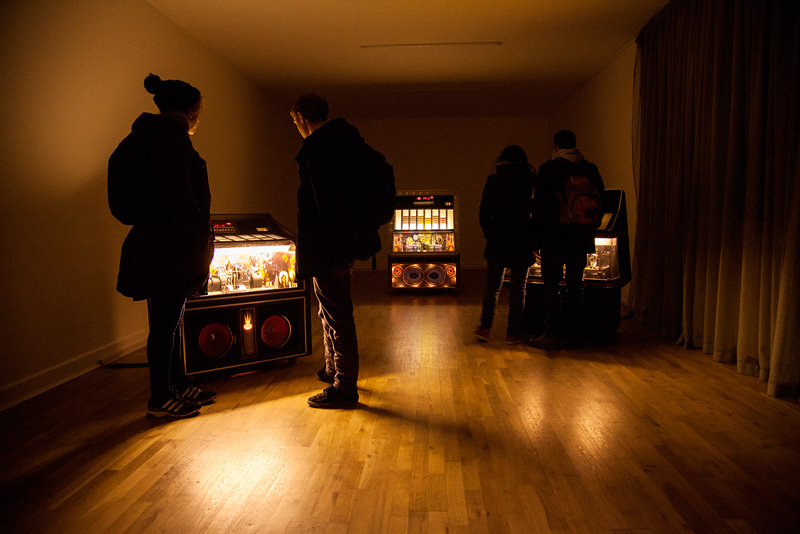 Visitors are invited to drop by to browse the latest playlists on three jukeboxes, inspired by Tate Britain’s permanent collection. Visitors can make their own track selections or listen to the soundscape created by other visitors’ selections. They can also attend live vinyl-cutting recording sessions to contribute their own audio impressions of the BP Walk Through British Art.